My quest to stop being a fat slob continues. What to do, how much of it to do and what else I need to do to keep myself healthy is a never ending battle… and its not easy. There are way too many different daily challenges that present themselves. Am I moving enough? Am I eating right? Am I sleeping right? These questions are difficult to answer as it is, and Fitbit has been trying to help people answer it for more than a few years now. Their latest foray into fitness band/ smartwatch arena is the Fitbit Surge. It has a few nice things to offer not only the fitness conscious, but the smartwatch curious as well; and in this article, we’ll be taking a look at its suitability in both arenas. This is the second review in a series – or round up – of smartwatch reviews that I’m doing. The first on the Microsoft Band was large and in depth enough for me to break it up into two parts. You can see them here and here. Its good and certainly worthy of more than a casual look. My review of the Fitbit Surge is likely going to be just as lengthy and just as in depth. I’m going to pick apart the hardware. I’m going to pick apart the software. Smartwatches aren’t cheap. The Microsoft Band is $199… IF you can find one to buy. I’ll cover the cost of the Fitbit a bit later, but I will say that it isn’t cheap, either. 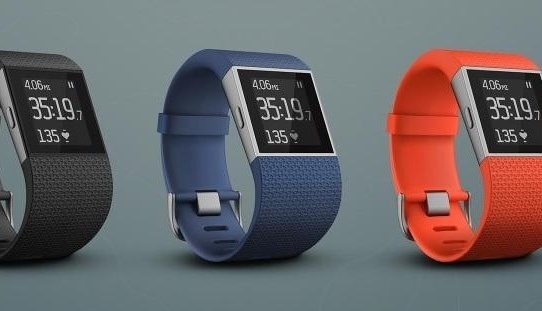 Is the Fitbit Surge the right smartwatch and fitness band for you? Let’s stop dawdling and get down to it!